AND WHEREAS the objections and suggestions received within the said period from the public in respect of the said draft rules have been duly considered by the Central Government. (1) These rules may be called the Plastic Waste (Management and Handling) Rules, 2011. 2(1) The provisions of rules 5 and 8 shall not apply to the manufacture of carry bags exclusively for export purposes, against an order for export, received by the owner or occupier of the concerned manufacturing unit. 2(2) This exemption does not apply to any surplus or rejects, left over and the like. (q) "Waste pickers" mean individuals or groups of individuals engaged in the collection of plastic waste. (b) for enforcement of the provisions of these rules relating to the use, collection, segregation, transportation and disposal of the plastic waste, the prescribed authority shall be the municipal authority concerned. (a) carry bags shall either be in natural shade (Colourless) which is without any added pigments or made using only those pigments and colourants which are in conformity with Indian standard: IS : 9833: 1981 titled as List of pigments and colourants for use in plastics in contact with foodstuffs, pharmaceuticals and drinking water, as amended from time to time. (c) no person shall manufacture, stock, distribute or sell any carry bag made of virgin or recycled or compostable plastic, which is less than 40 microns in thickness. (g) plastic material, in any form, shall not be used in any package for packing gutkha, pan masala and tobacco in all forms. 7. Protocols for Compostable Plastic Materials.- Determination of the degree of degradability and degree of disintegration of plastic material shall be as per the protocols of the Indian Standards listed in the Annexure to these rules. (i) name, registration number of manufacturer and thickness in case of carry bag. (ii) name and registration number of the manufacturer in case of multilayered plastic pouch or sachet. NOTE : PET - Polyethylene terephthalate, HDPE - High Density Polyethylene, V - Vinyl (PVC), LDPE - Low Density Polyethylene, PP - Polypropylene, PS - Polystyrene and Other means all other resins and multi materials like ABS (Acrylonitrile Butadiene Styrene), PPO (Polyphenylene oxide), PC (Polycarbonate), PBT (Polybutylene terephalate) etc . (d) retailers shall ensure that plastic carry bags and multilayered plastic pouch or sachet sold by them are properly labelled as per stipulations under these rules. (d) the SPCB and PCC shall not issue or renew a registration for manufacturing or recycling units unless the unit possesses a valid consent under the Water (Prevention and Control of Pollution) Act, 1974 (6 of 1974) and the Air (Prevention and Control of Pollution) Act, 1981 (14 of 1981) and certificate of registration issued by the District Industries Centre or any other government agency authorized in this regard. 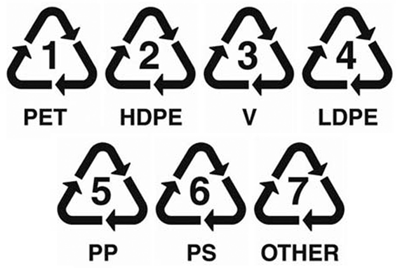 (ii) the manufacturer who has already registered for manufacturing under the Recycled Plastics Manufacture and Usage (Amendment) Rules, 2003 shall not be required to register under these rules and whereas others shall have to register within the period of ninety days from the date of coming into force of these rules. (g) every application for renewal of registration shall be made at least ninety days before the expiry of the validity of the registration certificate. (1) There shall be a State Level Advisory Body to monitor the implementation of these Rules. (3) The State Level Advisory Body shall meet at least once in a year and may invite experts, if it considers necessary. (2) the Central Pollution Control Board shall prepare a consolidated annual report on the use and management of plastic waste and forward it to the central government along with its recommendations before the 30th day of December each year. 3. IS/ ISO 14853:2005 Plastics -Determination of the ultimate anaerobic biodegradation of plastic materials in an aqueous system-Method by measurement of biogas production . I/ We hereby apply for registration under rule 9 of the Plastic Waste(Management and Handling ) Rules ,2011. 2. Is the unit registered with the District Industries Centre (DIC)/ Development Commissioner, Small Scale Industries (DCSSI) of the State Government / Union territory? If yes, attach a copy. (b) Does the unit have a valid consent under the Air (Prevention and Control of Pollution) Act 1981 (14 of 1981) ? 7. Manufacturing Process Please attach a flow diagram of the manufacturingprocess flow diagram for each product. a. Provide a flow diagram for emission control system(s) installed for each processing unit, utilities etc.